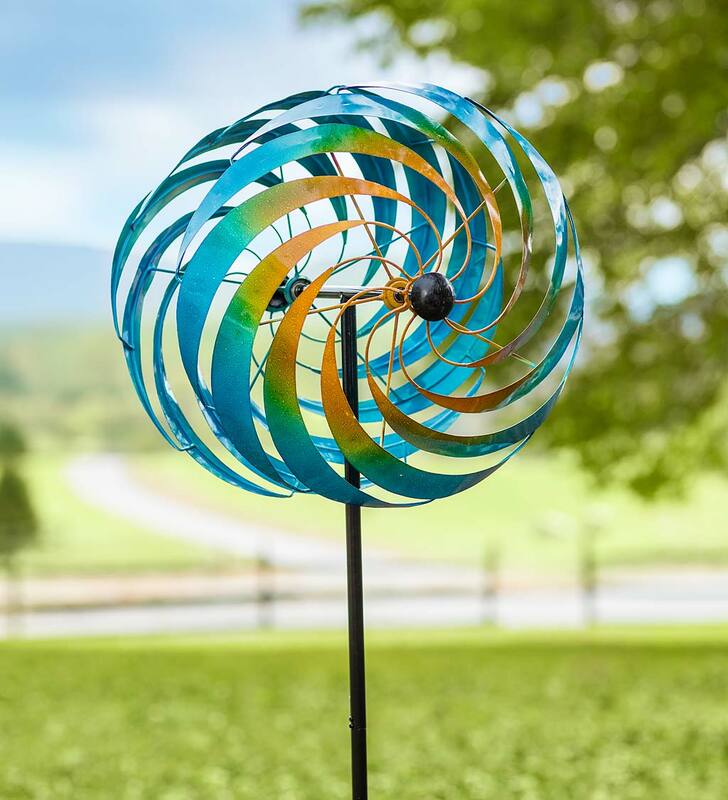 This Blue Vortex Wind Spinner's curved blades create a mesmerizing effect when it's in motion. It's a hypnotic masterpiece you will truly enjoy! Bright, brilliant shades of blue, green and yellow look great with your flowers or foliage. Place it prominently in a garden bed or out in the yard. It makes an eye-catching statement that adds color and movement any time of year. Sturdy metal with bright outdoor paint; spinner stakes securely into the ground. 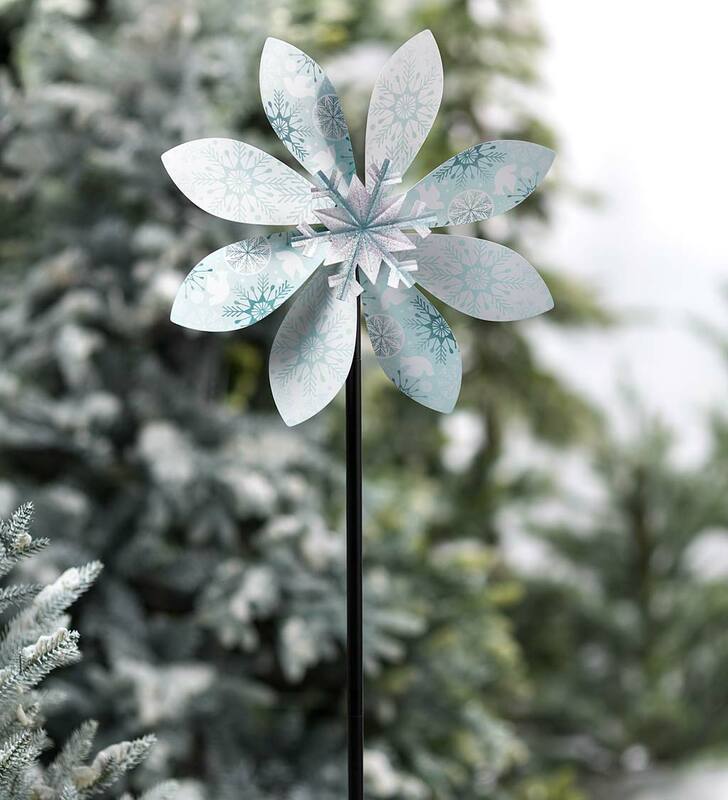 This Holiday Snowflake Spinner is fun, festive and affordable. It makes a great gift for someone special or a fun treat for your own yard. With its medium size, this Spinner won't overpower your landscape. It will add just the right amount of seasonal style and color to your walkway, flower bed, garden or patio space. The center is stationary, while the rotors spin. Metal with a printed design and high-gloss finish. A smaller take on our impressive Jubilee Wind Spinner, this medium version is ideal for adding motion and color to more compact settings. Eight independent spinning rays with colorful cups each create a brilliant, multidimensional show in and around a center ring - you'll be mesmerized by the hypnotic, kaleidoscopic effect! Assembly required. 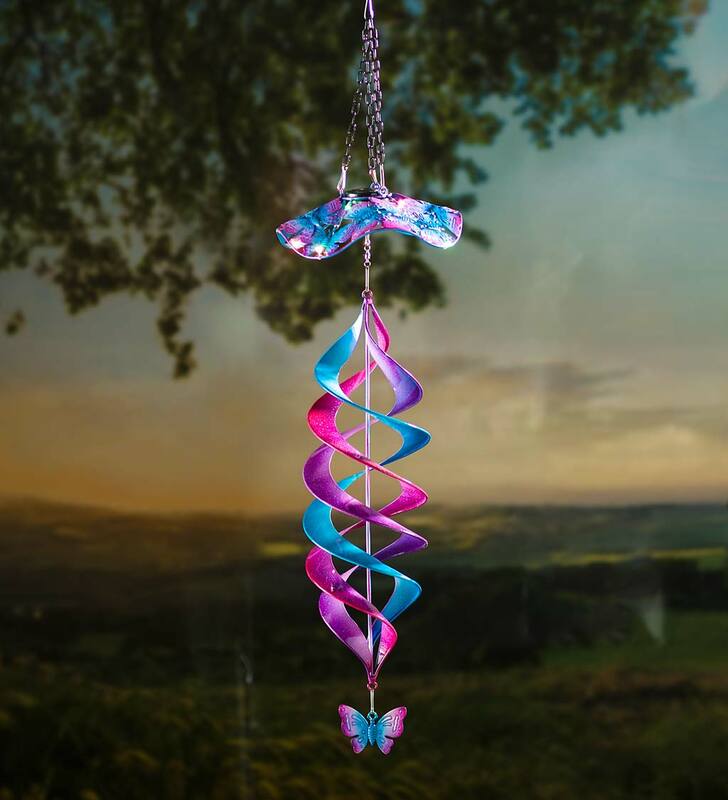 Add mesmerizing motion, color and light with our hanging Solar Swirl Helix Spinner. 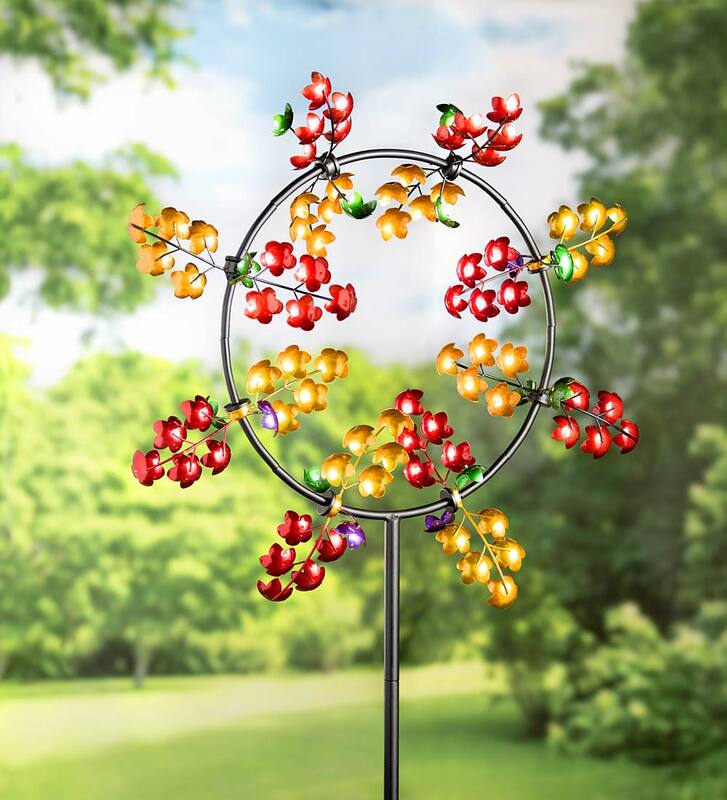 Each beautifully colored helix spinner is accented with a seasonal charm?hang in the sun to enjoy mesmerizing motion by day and light by night. Metal with all-weather painted finish.